Good morning ... If you didn't see it over the weekend, we did an Axios Deep Dive on drug prices. I'd love to know what Vitals readers, who are pretty in tune with these issues, thought about it. Send your reviews of this — or anything else we're doing right or wrong — to baker@axios.com. My colleague Caitlin Owens has a really interesting look this morning at the new hotness in the states: Medicaid buy-ins. The big picture: This isn’t a totally new idea, but it’s gaining more serious traction on the heels of Democrats’ state-level gains in the midterm elections. Medicaid’s pretty cheap, and it’s already up and running, so it could be a natural fit for lower-income people who want insurance but can’t afford comprehensive private coverage. Between the lines: States will have to figure out how to structure provider rates so doctors and hospitals will participate in the program, while still keeping costs down for enrollees. 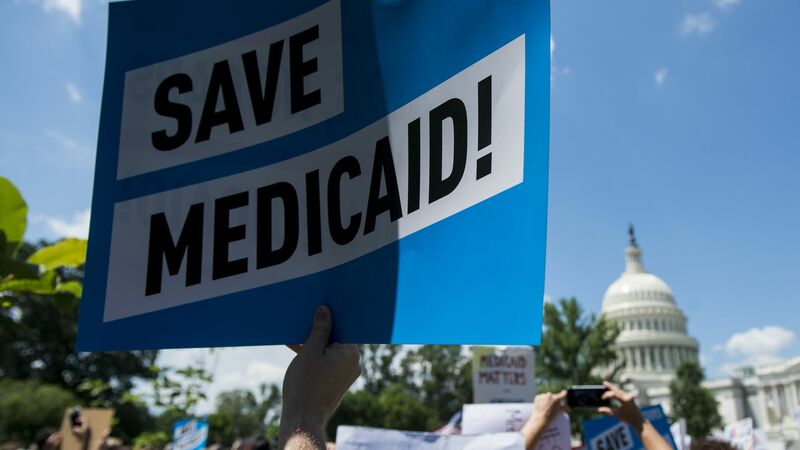 States also have to decide who would be eligible for a Medicaid buy-in, how much they'd have to pay on their own, and how much of the total cost the state would cover. But even if new enrollees have to pay premiums for Medicaid coverage, it's still cheaper than private insurance. Where it stands: About a dozen states have expressed some level of interest in a Medicaid buy-in. Experts say New Mexico is the furthest along. An analysis of different policy options has been shared with the state legislature, which called for such a study earlier this year. Abuko Estrada, a lawyer with the New Mexico Center on Law and Poverty, said that if the state decides it makes sense to create a buy-in program, legislation could start moving forward next year. Sen. Chuck Grassley will chair the Finance Committee next Congress, meaning that the position being vacated by pharma ally Sen. Orrin Hatch will be filled with someone much less defensive of the industry. "PhRMA is probably crying in a corner right now. Winter is coming," a senior GOP Senate aide told Caitlin. “If the administration, Democrats in the House, and Grassley all want to go in a direction, does pharma have the resources to get Republicans to stand on the wall against this coming invasion?” a former GOP aide mused. Yes, but: Majority Leader Mitch McConnell will still control what gets a vote on the floor. What we're watching: Grassley has supported mandatory price disclosures in direct-to-consumer ads and legal drug importation from Canada. The big picture: “I would expect Sen. Grassley to take a more activist approach when it comes to drug pricing, which might be more in line with the president’s position on this," said Chris Campbell, a former Hatch aide who now is a chief strategist with Duff & Phelps. “There certainly is a real risk to investors that are investing in the health care sector, specifically in drugs and biologics, that stocks might be (affected) by the ebb and flow of the debate over drug prices, and potentially by the compromise, if one’s found in Washington," Campbell added. Boston Scientific plans to lay off employees and restructure other parts of its business in an effort to save at least $100 million per year by 2022, the medical device maker said in a regulatory filing last week. Terminating benefits, hiring consultants and other costs will force the company to eat at least $200 million in pre-tax charges, Axios' Bob Herman reports. By the numbers: Boston Scientific had an 18% profit margin on $2.4 billion of revenue in the third quarter. The company, which is lobbying to repeal the ACA’s medical device tax, also has not paid any federal income taxes so far this year — and instead has received $159 million in tax breaks. A new report from Sens. Rob Portman and Tom Carper says taxpayers paid some $142 million over the past 4 years due to steep price hikes for Evzio, a form of the overdose-reversal drug naloxone. NBC News has a profoundly depressing report on a program that teaches schoolchildren how to apply a tourniquet to stop classmates from bleeding to death in the event of a mass shooting. Pfizer is preparing to resume price hikes on 41 drugs at the beginning of the year. The New York Times highlights a new drug that seems to show "lifesaving" potential for kids with peanut allergies.